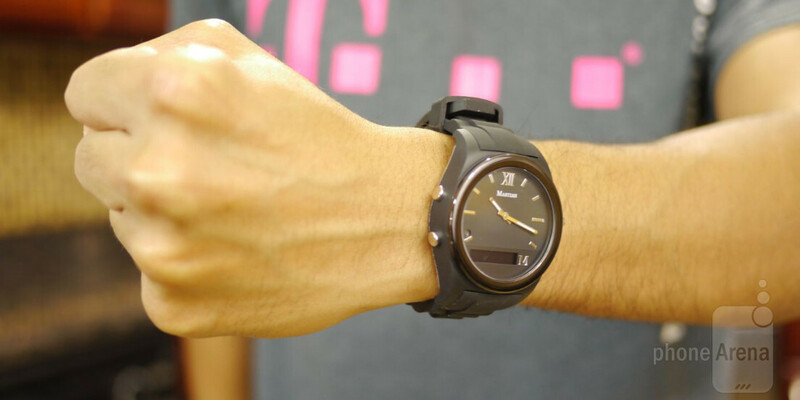 Within the last year, we’ve seen a healthy stream of multi-functional smartwatches. All of them, of course, adhere to delivering “smart” functions that complement our smartphones – such as discrete notifications, act as remote viewfinders, and even double as fitness trackers too. Scoping out the current batch of popular smartwatches, there’s no denying that they bear similar designs, as their fancy touchscreen displays are profoundly featured. 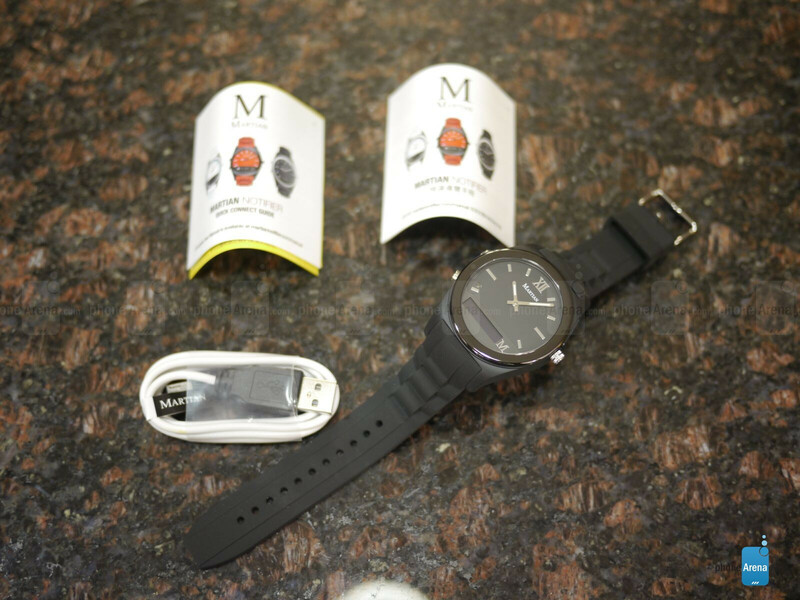 Going back to the basics, the Martian Notifier Smartwatch is a very different product – one that adheres more to being a watch first, with smart functions being the secondary. Elegant and classic are two words that best describe it, as it really looks more like a premium-made watch. Talk about having a classic, timeless design! In an age where smartwatches stand out due to the glow of their fancy touchscreen displays, especially in the dark, the Martian Notifier opts for a conventional watch design. And boy is it a refreshing change of scenery! Most people wouldn’t even begin to think it’s a smartwatch! The choice of materials is pretty good too, seeing that it’s constructed out of mostly resin plastic – while the frame is supported by a stainless steel bezel. Obviously, there’s no trying to hide the fact that the focal point is its timepiece, which is an analog quartz watch with Japanese movement, protected by an anti-scratch acrylic crystal. Finally, the stock wrist strap included with the packaging is a rubbery feeling silicone band. In keeping this uniform, the band matches the black paint job of our particular unit – albeit, the watch is also available in red and white. 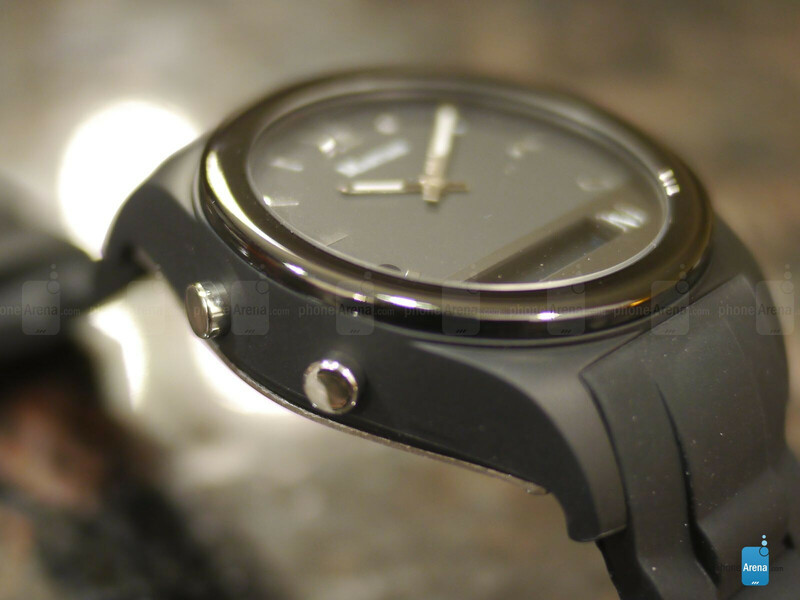 Fortunately, we’re given a small amount of personalization because the silicone band is interchangeable. For those of you wondering, the bands from Martian are all silicone based, but they’re available in a variety of colors at $20 a piece. Better yet, it actually uses the same 22mm width bands that are compatible with Samsung’s line of Gear smartwatches – so swap away! In keeping that timeless design, the Martian Notifier features two buttons on its left – the bottom “select” button scrolls through the different options, while the top “command” button is used to launch your phone’s respective voice service. Furthermore, there’s a dial on the right side that’s used to manually adjust the time. 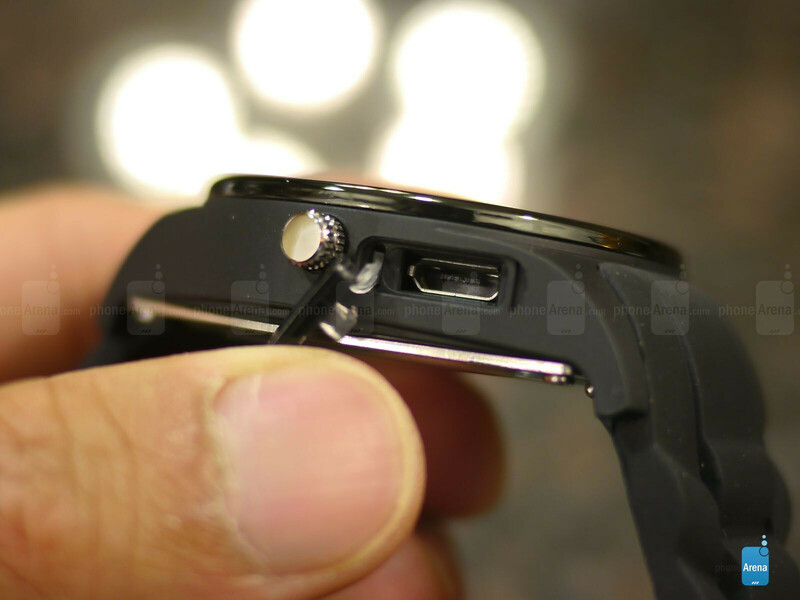 Now, we’re ecstatic to find a standard microUSB port on this thing, as opposed to the proprietary connections of other smartwatches, but it won’t accept your ordinary microUSB cable, since the port itself is recessed deeply in there – so a longer tipped cable, which comes included, is required. Normally, today’s smartwatches flaunt designs that would match the geeky demeanor of its wearer. Bucking the trend, it’s refreshing to see that the Martian Notifier is different in the way that it discretely blends all of that geeky tech gear into something sophisticated and elegant looking. Despite that, you don’t want to swim with this on, seeing that it’s only splash-resistant. You’re probably wondering what more can we say about the display, aside from the obvious that we have minute and hour hands pointing to the time? Interestingly enough, there’s a small rectangular area below the hands that tucks away a tiny 96 x 16 pixel OLED display. Yes it’s miniscule, but it’s where we’re presented with our notifications, as they scroll accordingly towards the left. The lighting is pretty potent, which makes it relatively easy to make out under sunny conditions – while still giving the smartwatch a pleasant glow in the dark. Been waiting forever to see reviews of these "other brand" smartwatches. THANK YOU JONH V! While you're at it, how about do the Cogito Classic and the Metawatch Frame for good measure, maybe even a SHOOT-OUT!